Dear New and Old Friends of the Mountains and Men and Women of All Ages and Abilities from Around the World. Season's Greetings, Happy Christmas and A Very Happy New Year to You, Family, Friends and Colleagues. Please read down for our end of 2012 news wrap-up, a peek at 2013 trips and adventures, and our 2nd annual end of the year sale. This morning as I write from my office on the seashore overlooking the churning ocean, a dark looming snow storm sweeps in bearing fat snowflakes driven by window rattling gusts. Scudding clouds herald an elusive sunrise, choppy steel grey white-capped waves sweep high tide over the bulkhead, logs lifted from the beach bob around the bay and spotless white seagulls hang somehow motionless while flapping wings madly into the headwind. Just now a tiny blue hole opens high up in the sky, with today's first shaft of sunlight reflecting off a distant jetty across the harbour. What have you been doing? Are you preparing for a fun and meaningful HOLIDAY BREAK? Do you have plans for walking, climbing, skiing, snowboarding, boating, and sports? Yesterday we went skiing and boarding in the mountains above town. Winter has arrived, depositing a large amount of powdery new snow up on the local peaks trying to call us away from our desks. Speaking of which, please ring, email, Facebook, or Skype me now for a chat. I am waiting to speak to you on +44(0)7810375400 (in the UK) and 1-360-570-0715 (in the USA), DanielMazur@SummitClimb.com, www.FaceBook.com/DanielLeeMazur, Skype: dan.mazur8848 . December brings time for reflection on the challenges and triumphs of 2012, and opens the door to 2013. 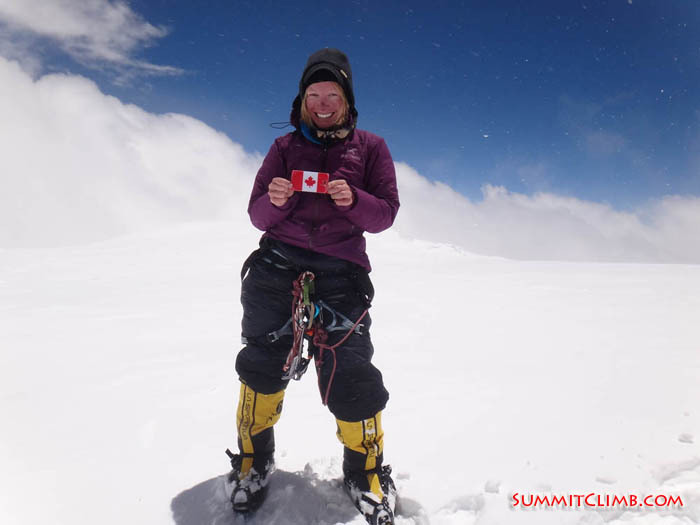 Grace McDonald Summit at Lhotse (Grace) . View of Nuptse, Lhotse, Everest and Ama Dablam just 15 minutes walk from Namche. (Sandra Le Duc). PLEASE READ DOWN TO TAKE ADVANTAGE OF OUR "END OF THE YEAR SALE" AND THANKS FOR TELLING ALL OF YOUR FRIENDS!! 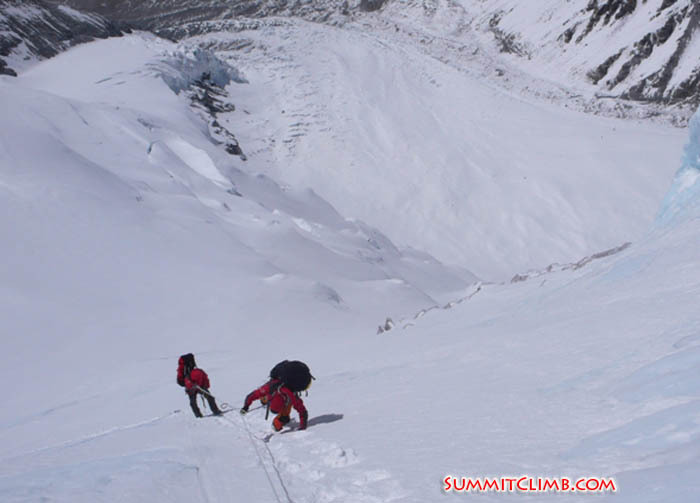 Here at SummitClimb, SummitTrek, and the Mount Everest Foundation, 2012 was a lucky and very safe year. We enjoyed many fun climbs, walks, and charity projects with friends, new and old: men and women of all ages and abilities from around the world. NOW IN OUR 22ND YEAR, WE STRIVE TO MAINTAIN OUR PHILOSOPHY: offering very safe and well organised, affordably priced, fun, interesting, best quality expeditions, climbs, treks, walks and training opportunities with qualified British, European, and American leaders, top notch Sherpas, delicious food and high quality equipment. Our goal is to encourage every person to enjoy the mountains by joining our exciting and rewarding trips. This year, together all of us climbed the 7-Summits and many big and little mountains, walked and trekked to basecamp, trained ourselves and more than 30 beginner, novice, intermediate and advanced climbers, to ascend rock, snow, ice and prepare for Everest and other high and low peaks around the world. The Himalayan weather during 2012 was unusually warm, sunny, and windless. 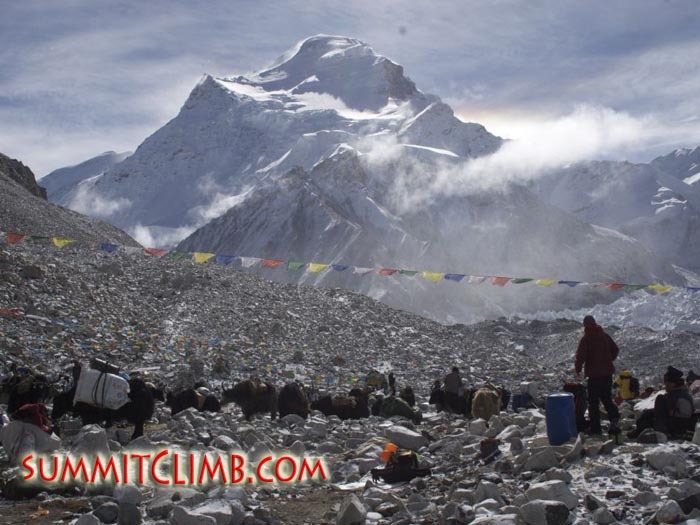 This led to one of the most successful and safe years we at SummitClimb, SummitTrek, and the Mount Everest Foundation have ever known. Congratulations to everyone! Team on their way up the 2nd Step (David O'Brien). Yaks bringing supplies into ABC (Vicen Jolis). 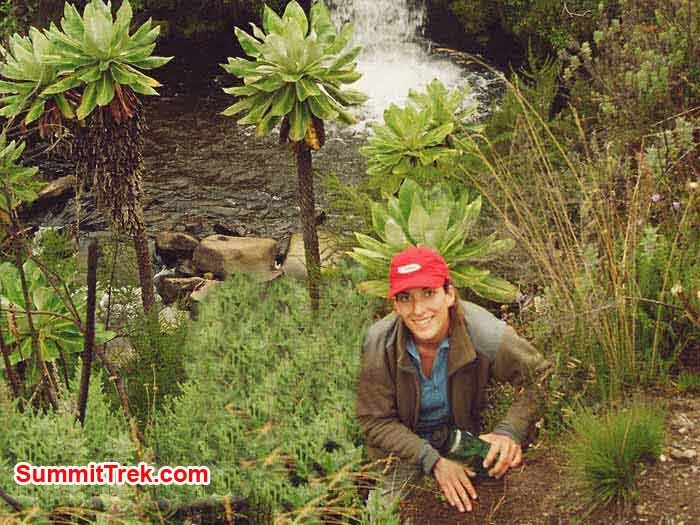 My name is Dan Mazur and I am a climb and trek leader and a charity volunteer. THE HIGHLIGHTS OF MY YEAR? In May I luckily climbed Everest (my 9th Everest expedition) where all of our members (using oxygen) reached the summit and returned safely with a 100% success rate, along with the oldest Australian to reach the top of Everest, Dr. Janice Smith, age 68. She is also the second oldest woman in the world to climb Everest. In July, I led our free of cost no-charge Glacier School, introducing 20 men and women of all ages and abilities to walking, camping, glacier travel, and summiting a 4400 metre / 14,400 foot high glaciated mountain. In October, I led our team of 9 men and women and 8 Sherpas to the summit of Mount Baruntse, Nepal's 'easiest' 7000 metre / 23,000 foot high peak, with something for everyone, from novice, to intermediate, to advanced. In December, I travelled with a group of educators and health care workers to remote Nepal, where we delivered needed medical and educational services and supplies to low income Sherpa families living near Everest. MY 2013 GOALS? I am always very excited to make new friends and join together with old acquaintances, and encourage all men and women of all ages and all abilities from around the world. Here are a list of trips I will be involved in, and you and your friends, family, and colleagues are heartily invited to come with me: In January I am leading our free of cost, no charge 5-day Winter Climbing and Camping School. During February and March I will be travelling the globe making exciting 1-hour multi-media slide-video presentations raising funds for the Mount Everest Foundation for Sustainable development, helping low-income Sherpa families living near Everest with their health care, education, cultural and environmental preservation. In April and May I am leading the 60-day Everest Nepal SummitClimb, 60-day Mount Lhotse SummitClimb, 32-day Everest Camp 3 Training Climb, 22-day Everest Glacier School, and 18-day Everest Basecamp Trek. 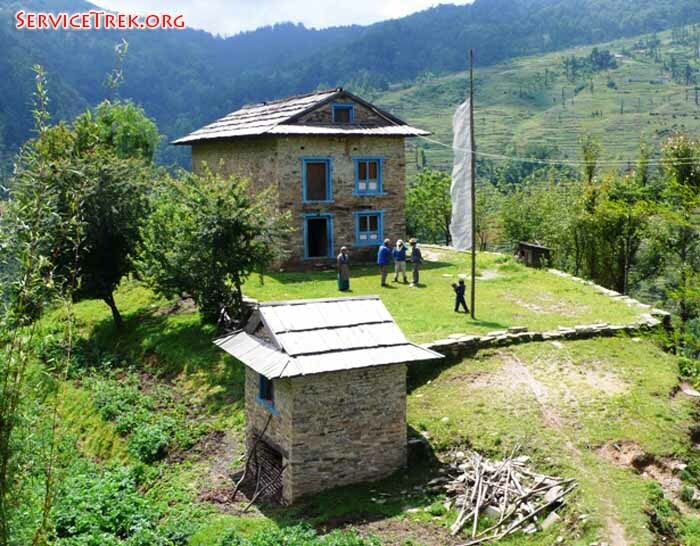 In June I am leading 12-day Remote Nepal Service Trek. 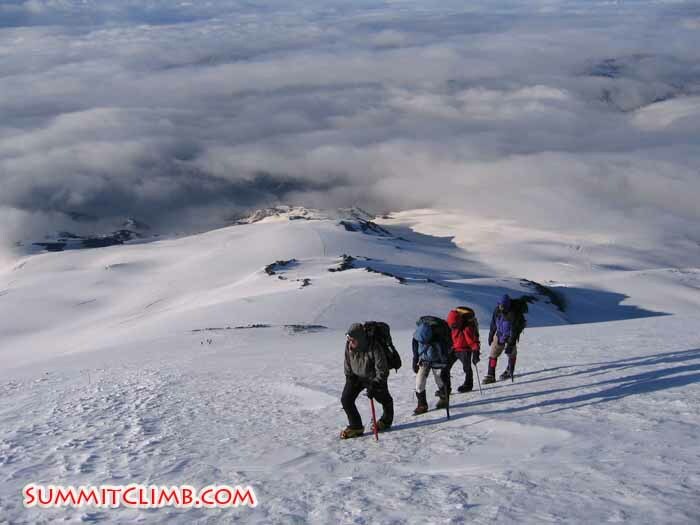 In July and August I am leading the 14-day Mount Elbrus Climb. 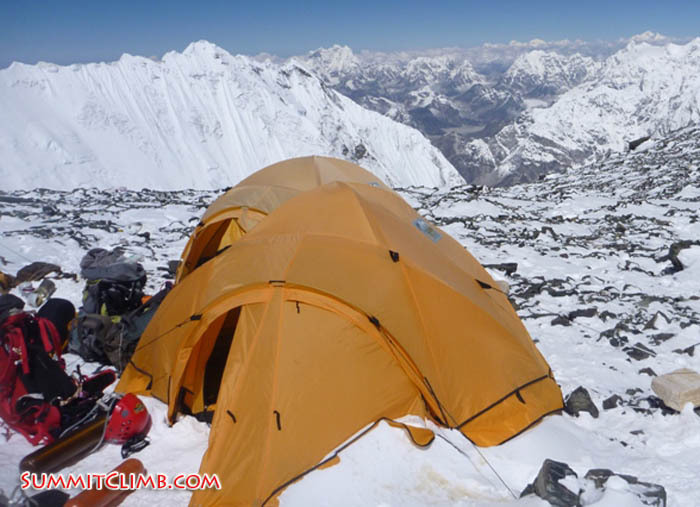 In September and October I am leading the 38-day Mount Cho Oyu Expedition and Cho Oyu Basecamp Trek. Then, in October and November I will lead our 29-day Ama Dablam Expedition and Mount Everest Basecamp Trek. Finally, in November and December, I will lead our 12-day Remote Nepal Service Trek. I look forward to discussing these trips further, to meeting you, to climbing to the summit together, trekking to basecamp together, and also to the possibility of doing charity work together. WE CONTINUE OUR FOCUS ON "GIVING-BACK" AND HELPING THE MOUNTAIN COMMUNITIES WE VISIT. 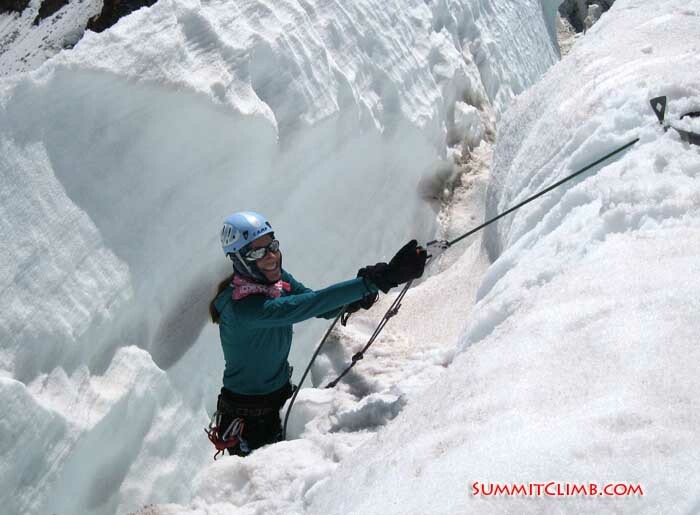 In July 2012 we gave back to international mountain communities when we offered a 100% free of cost Summer Glacier School to encourage new and old climbers, men and women of all ages and abilities from all over the world. Watch for news of our 2013 free of cost, no-charge winter and summer climbing schools open to everyone. Speaking of which, we are very excited about our February-March 2013 charity fund raising presentation lectures where we will tell inspiring stories and show amazing photos of Everest and raise awareness, support, and new and used climbing and trekking equipment and clothing for the new Sherpa Training School. Come out and participate in the presentations. Make new friends and meet the leaders and members of SummitClimb, SummitTrek, and the Mount Everest Foundation for Sustainable Development. Would you like to invite us and organise a lecture in your town? Please do, as there is still some availability in our schedule. For more, please have a look at www.FundraisingLectures.org . PLEASE READ DOWN TO LEARN MORE. THANK YOU VERY MUCH. Who are we? 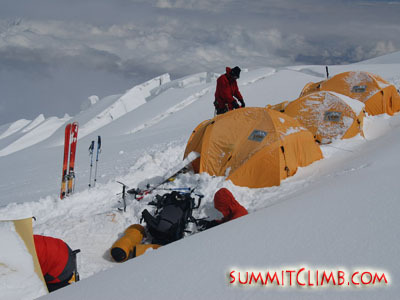 We are www.SummitClimb.com and www.SummitTrek.com , now in their 22nd year. Our main office is located in Bristol, England and near Seattle, Washington. We also raise funds for the www.MountEverestFoundationForSustainableDevelopment.org (MEFSD), now in their 11th year. 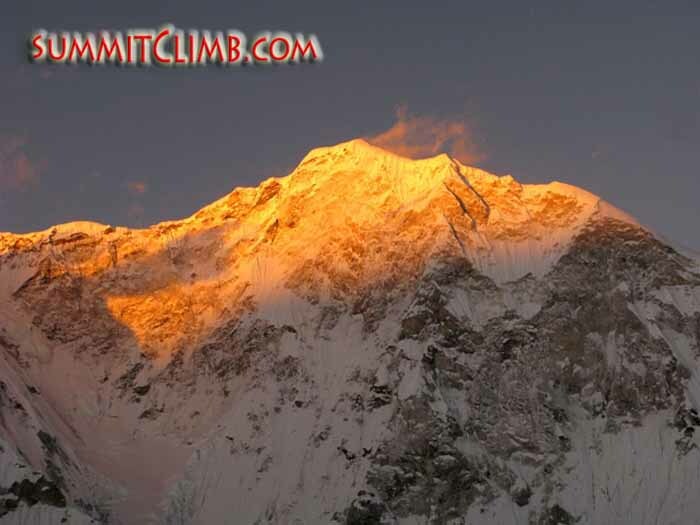 Please check out all of the latest news at www.SummitClimbNews.com , www.SummitTrekNews.com , and www.ServiceTrekNews.org . END OF THE YEAR SALE. PLEASE TELL ALL OF YOUR FRIENDS!! Celebrating Christmas or planning to bring in the New Year in style? Take advantage of our 5% discount for climbs and treks in 2013 to give that "special someone" the trip of a lifetime. Donate the 5% discount to charity, or use it for yourself, and combine with our generous discounts for groups of 2 or more, medical professionals, returning members, mountain guides and leaders-in-training for even more savings during the last days of 2012. We are offering this for members who have not booked yet for 2013, and this offer is good until the end of the year (December 31st, 2012), so now is the time to lock this incredible deal before it's too late. We need your deposit and application to take advantage of this special offer NOW. BREAKING NEWS: TIBET IS OPEN FOR SPRING AND AUTUMN 2013: Our organizers in Lhasa just confirmed that Tibet is officially open. 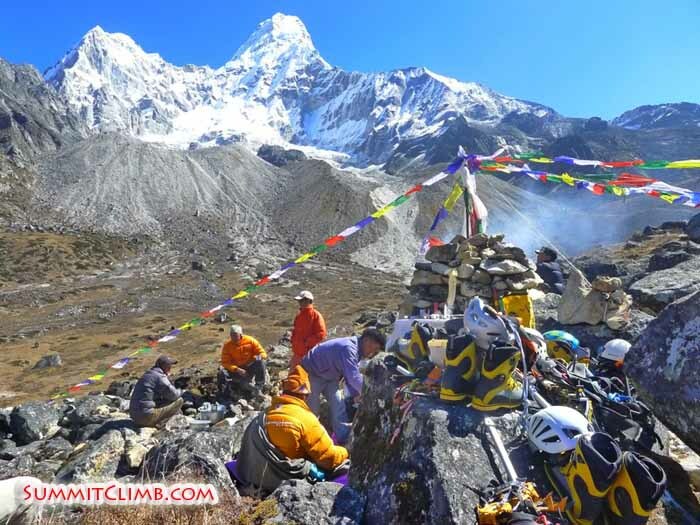 We are very excited and hope you will join us for some of the world's finest and most accessible high altitude climbing and trekking on EVEREST, CHO OYU, SHISHAPANGMA, as well as fun training climbs and relaxing basecamp walks. Welcome to our team. ACONCAGUA UPDATE - Our December Holiday climb has just kicked off and our fun team of men and women of all ages is currently in Mendoza, Argentina preparing to head for the mountains. 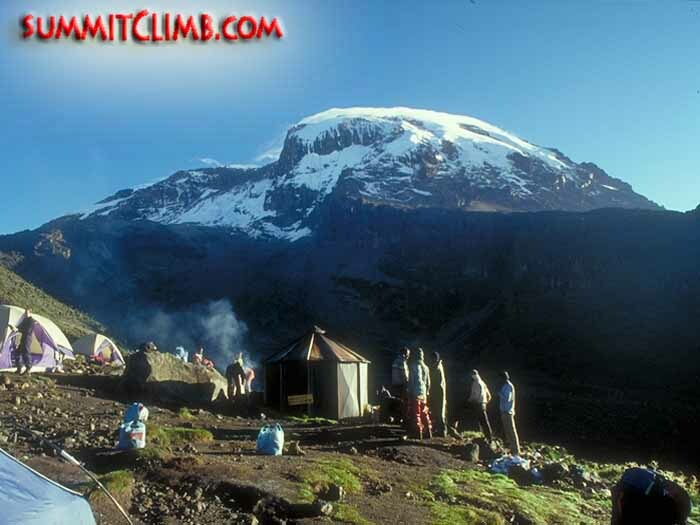 Please check out all of the latest news at www.AconcaguaSummitClimbNews.com as our team heads for the highest peak in all of the Americas and one of the fabled "7 Summits". SPACES AVAILABLE FOR 1-20 FEBRUARY 2013: Our top leader Max Kausch is very qualified, relaxed, and an excellent leader. Just a few places are left for the Normal Route, Falso, and the Polish Glacier, so please do let me know in the next few days: www.AconcaguaSummitClimb.com . Get in top shape and prepare for Everest. SUPER CHEAP PRICE OF $2950, £1850, €2150 STILL AVAILABLE. SEATTLE WINTER CLIMBING SCHOOL: A new FREE of cost, no charge winter climbing school during late January/early February, where together with leaders Dan Mazur and Stewart Wolfe, we will learn about ice and snow, winter climbing, camping, avalanche safety and winter rescue techniques. We still have spaces available and hope you will join us for some technical training and fun in the snow this winter. Dates: 31 January to 4 February, 2013. Heather Jennings uses her ascender to pull herself back to the surface during self rescue practice (Heather Jennings). Abhi looks out at just how far he has come on the slope leading to the summit (Heather Jennings). CHARITY/NON-PROFIT NEWS: If you are interested in the charity and service side, please get involved via donating to the Mount Everest Foundation at www.WaysYouCanHelp.org to support and work together with local families living near Everest with hospitals, schools, environmental and cultural preservation. If you feel the need to do more, get your hands dirty and help dig in with our twice yearly www.EverestServiceWalk.org and www.ServiceTrek.org. NEW SHERPA TRAINING SCHOOL: This is a new programme with the MEF, www.SherpaClimbingSchool.org , so please get involved and tell all of your friends. We need new and used good-quality climbing and walking equipment and clothing, as well as funds for office expense. 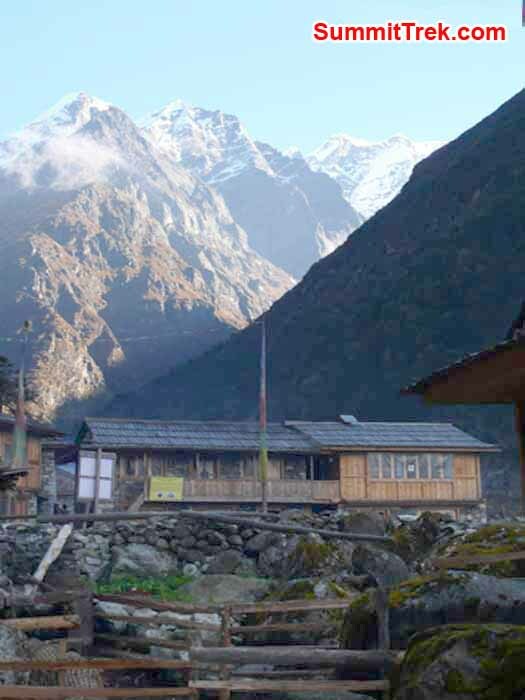 The MEFSD is building a new school for training 30 aspiring young sherpas, both men and women. Safety, technique, communication, education, health, environmental and cultural preservation and economic opportunities will be the goals for this new training course so that we can provide education, training and help local people in Nepal to earn a good living from sustainable tourism in their beautiful country for many years to come. 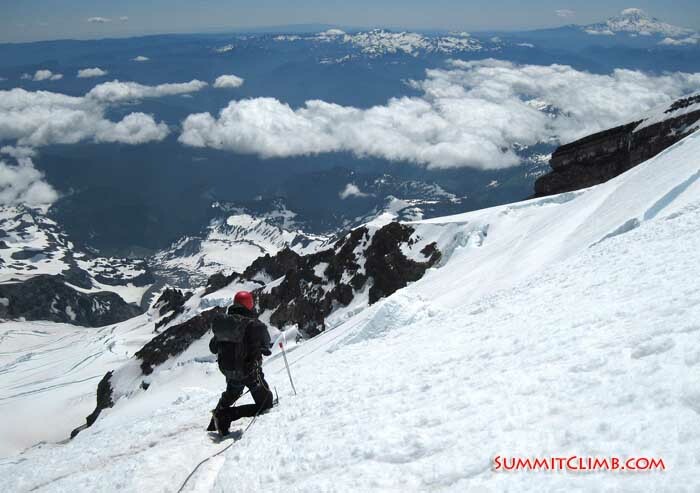 ELBRUS SUMMER 7-SUMMIT FUN: NEW LOW PRICE Get ready for a big new SummitClimb trip this summer: Mount Elbrus, one of the world's most famous 7-Summits and the highest peak in Europe. 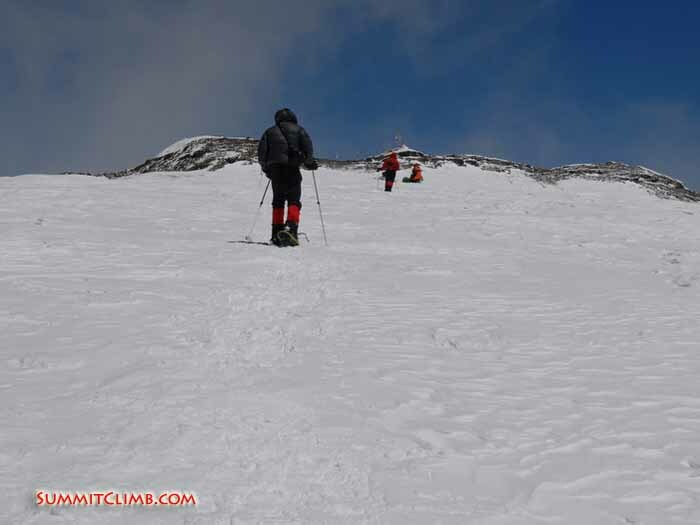 This very easy snow climb is just 5500 metres / 18,000 feet high and very accomplishable in only ten days. Expert expedition leader Dan Mazur will be on hand to lead, teach and ensure you have a great trip. Please tell all of your friends about our new www.ElbrusSummitClimb.com . Come one, come all, inviting men and women of all ages and abilities, from around the world. DISCOUNT NEWS: We offer generous discounts for groups of 2 or more, mountain guides, returning members, medical professionals, and referring your friends. By the way, our growing company is always looking for members who would like to learn to become leaders, so please visit www.leaderintraining.com, where we give special discounts for learning leaders and mountain guides. For more about our discount programme please read down to the bottom of this newsletter. Thank you. Holly Budge dashes up the ice while Jonas Lohaus watches and Lakpa Garmu Sherpa belays. Photo by Andrew Davis. Toni Taylor takes on the practice ice wall at Naulekh Glacier. Photo by Dan Mazur. IT IS TIME TO JOIN: Please indicate your interests very soon as we are currently gathering applications and filling out the official permit applications. Our office staff are excited and organising supplies, sherpas, oxygen, and preliminary permits and need to know now regarding your plans for 2013. ***OUR CLIMBS AND WALKS ARE LISTED BELOW. If anything strikes your fancy, or if you just have questions, please contact me straight away via email, phone, skype, and facebook as well as click the link for the trip you're interested in to see more information and photos. Squash Falconer prepares to fly from the South Col (Mitch Lewis). Squash, Paula and Lakpa Nuru in camp 3 (Stewart Edge). The famous Hillary Step . (Sange Sherpa). 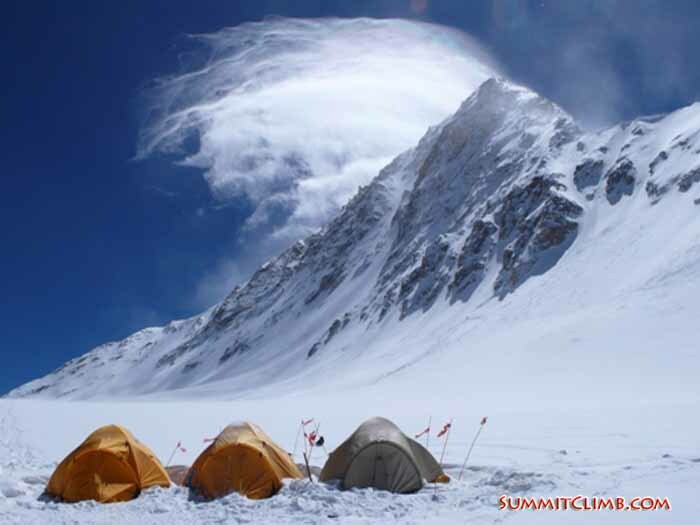 Tent, oxygen and rucksack at the South Col on the morning before descending. Mighty Mount Cho Oyu on the right, Nuptse on left (Stew Edge). On the summit (Mark Delstanche). On the 2nd step (Gavin Vickers). Self-portrait of David on the summit (David O'Brien). 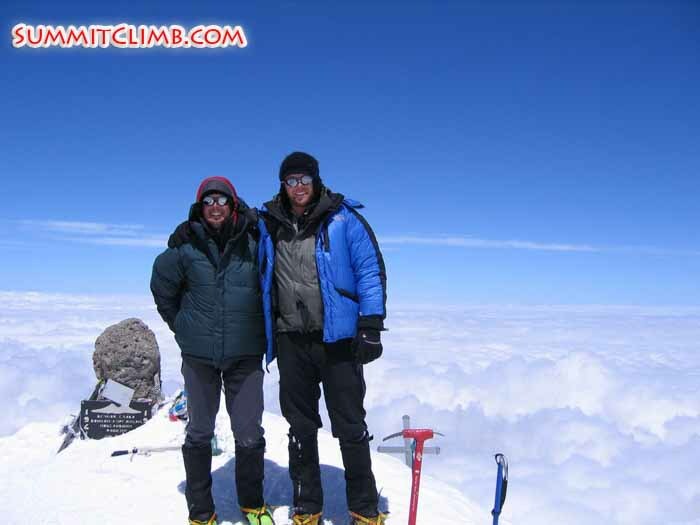 MOUNT ELBRUS: 21 July to 4 Aug 2013. Full Service Cost $3750, £2350, €2850. Elbrus is the highest peak in Europe and one of the fabled "7 Summits" of the world. A great way to see how you feel at high altitude in a short time at an affordable price. Join Everest leader and 7-Summit expert Dan Mazur, who will teach you everything you need to know, for a classic ascent on a large mountain in a short amount of time. Please contact us now if you are interested! Spaces are filling up quickly. KILIMANJARO / MT KENYA / SAFARI: Join us for our next Africa Expedition to Kilimanjaro, Mount Kenya and Wild Game Viewing Safari in August or February 2013 AND 2014: www.AfricaSummitClimb.com . 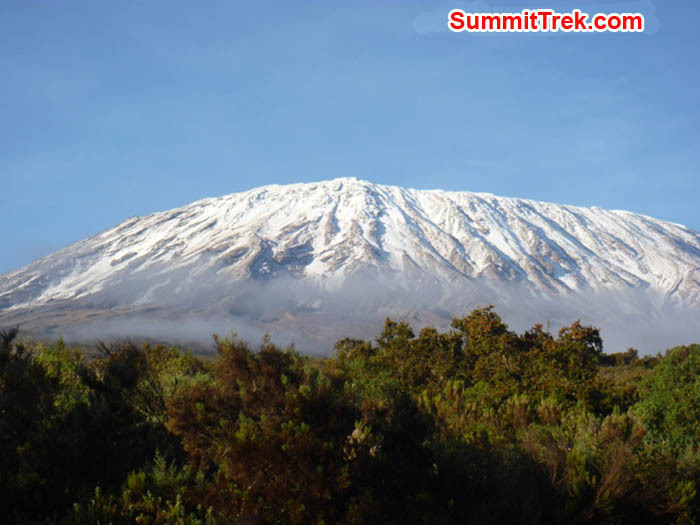 Kilimanjaro, 1-9 August or 14-22 February (9 days): Cost $3150, £1950, and €2350. Mt. 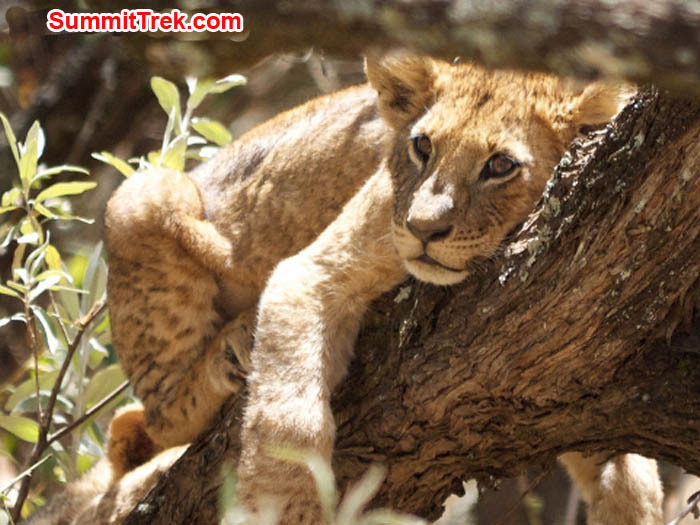 Kenya trek or optional rock climb, 13-20 August or 21-28 February (8 days): Cost $2150, £1350, €1550. Safari: Ngorongoro, Serengeti, Myanyara (3-4 days): $1150, £750, €850. LHOTSE CLIMB, 4TH HIGHEST IN THE WORLD, CLIMBED FROM THE SAME ROUTE AS EVEREST: www.LhotseClimb.com Basic Climb Cost: $4,150, £2,650, €3,150. Full Service Cost: $14,850, £9,250, €10,750. 60 days in April-May. 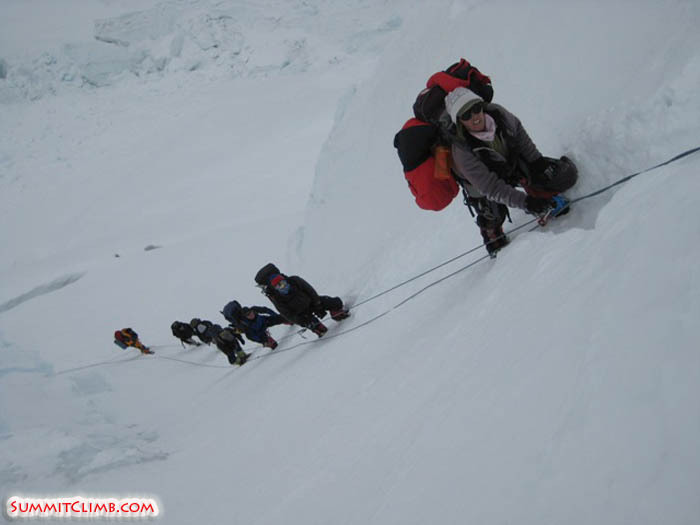 Climb the fourth highest peak in the world from the same route as our Everest Nepal Expedition at a much lower price. Surely there is no better preparation for Everest. 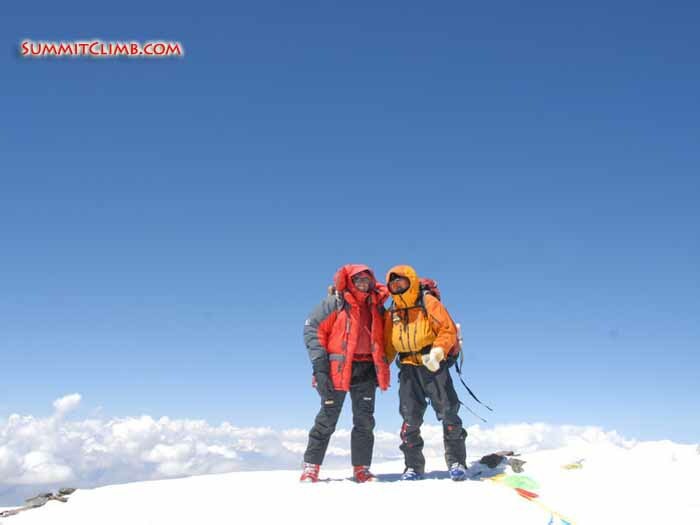 Leader is 3 time Lhotse climber Dan Mazur. Please read down for training options. 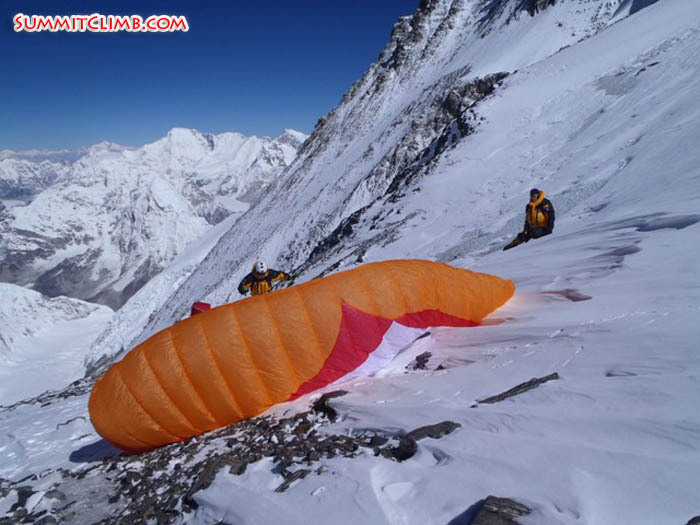 FULL SERVICE INCLUDES ALL CLIMB AND TREK COSTS, FREE OXYGEN, INTERNAL FLIGHTS, SHERPAS, AND HOTELS. 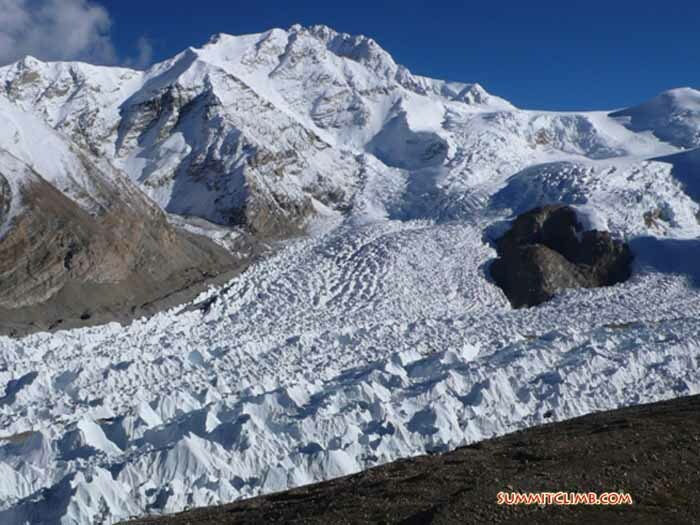 MOUNT CHO OYU: Led by Dan Mazur, who has climbed Cho Oyu 5 times and will teach you everything you need to know, Cho Oyu is not difficult, in fact it is considered to be the "most-accessible" of the "8000 metre" peaks and relatively easy. 38 days in Tibet and Nepal during April-May and September-October. There is perhaps no better preparation for Everest. NEW LOW PRICE: Full Service Cost: $12,850, £7,950, €9,750, Basic Climb Cost: $6650, £4150, €5050. 20% discount for Cho-Shish "double-header" expedition. FOR MORE PLEASE GO TO www.ExpeditionChoOyu.com. FULL SERVICE INCLUDES ALL CLIMB AND TREK COSTS, FREE HOTEL AND FREE SHERPAS. 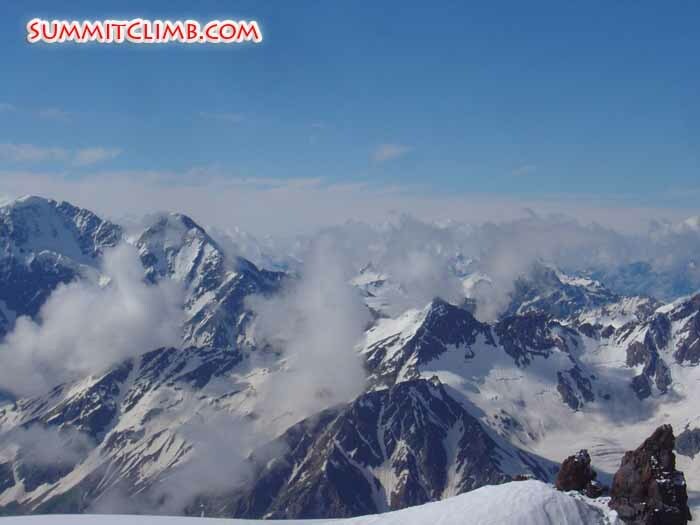 MOUNT SHISHA PANGMA: 38 days September-October or 15 days in Oct (MOUNT CHO OYU COMBINATION). 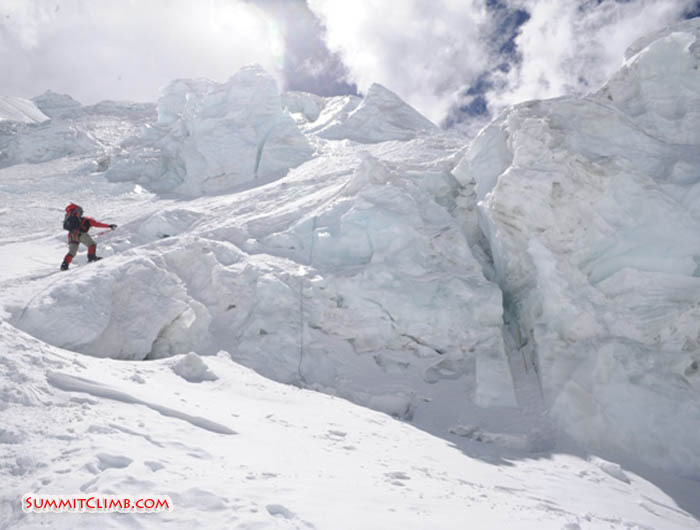 'Easy' snow climb of the less crowded & lowest of the world's 14 eight thousand metre, 26,000 foot high mountains, located in Tibet near Everest. Led by Arnold Coster who teaches you everything you need to know. There is perhaps no better preparation for Everest. Full Service Cost: $12,850, £7,950, €9,750; Basic Climb Cost: $6650, £4150, €5050. 20% discount for Cho-Shish "double-header" expedition. Optional trip to Lhasa, add $2450. 38 days in Tibet and Nepal during April-May and September-October. www.ShishapangmaExpedition.com. 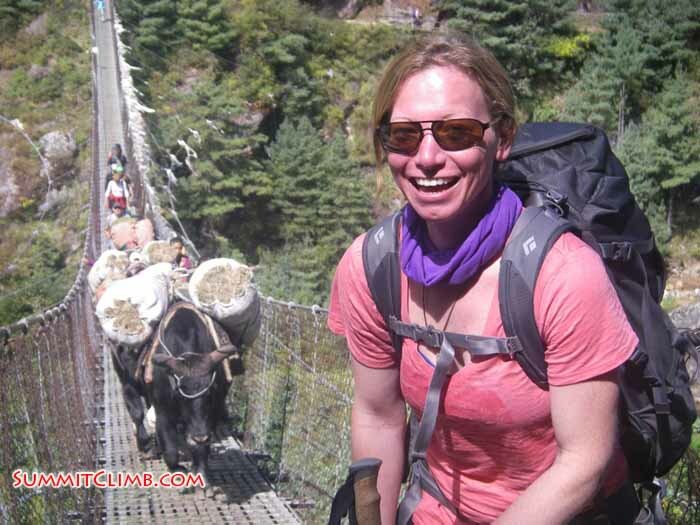 FULL SERVICE INCLUDES ALL CLIMB AND TREK COSTS, FREE HOTEL AND FREE SHERPAS. MOUNT BARUNTSE EXPEDITION. 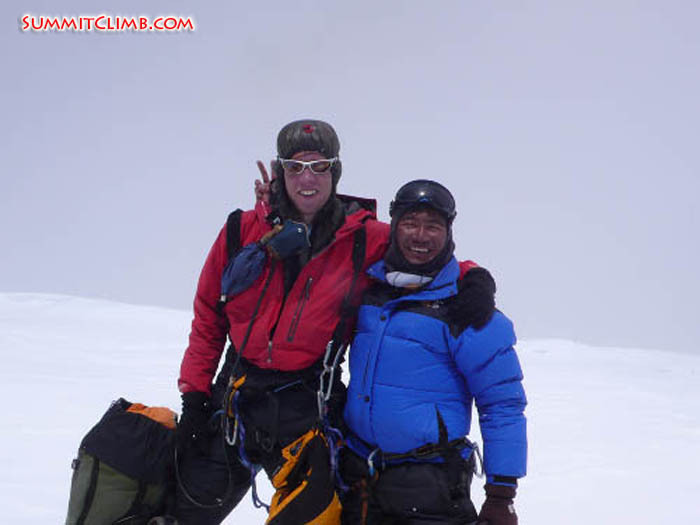 Join 3 time Baruntse leader Arnold Coster, who will teach you everything you need to know, for NEPAL'S "EASIEST" 7000 METRE / 23,000 FOOT HIGH PEAK. 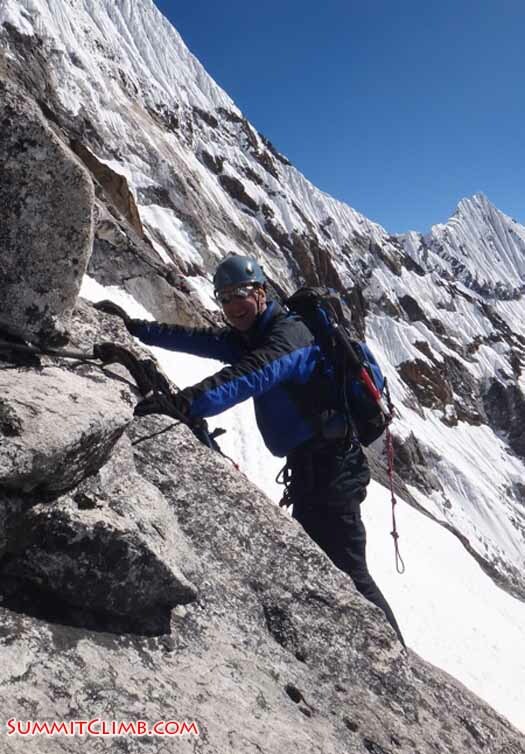 Arnold loves sharing this climb with our members, as the Baruntse Expedition really is a "grand circle" climbing trip through the Everest Himalaya. www.BaruntseExpedition.com - Full Service Cost: $7,950, £4,950, €6,050. 12 October to 14 November. 34 days in Nepal. 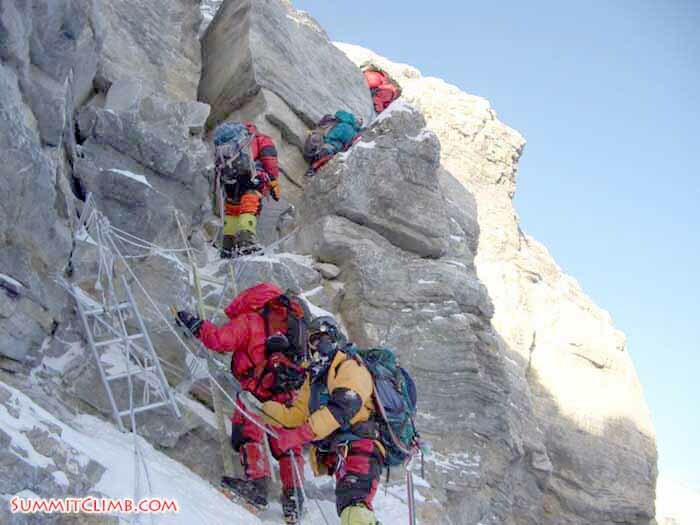 Climbing Baruntse qualifies you for Everest, Cho Oyu, Lhotse, and Shishapangma. 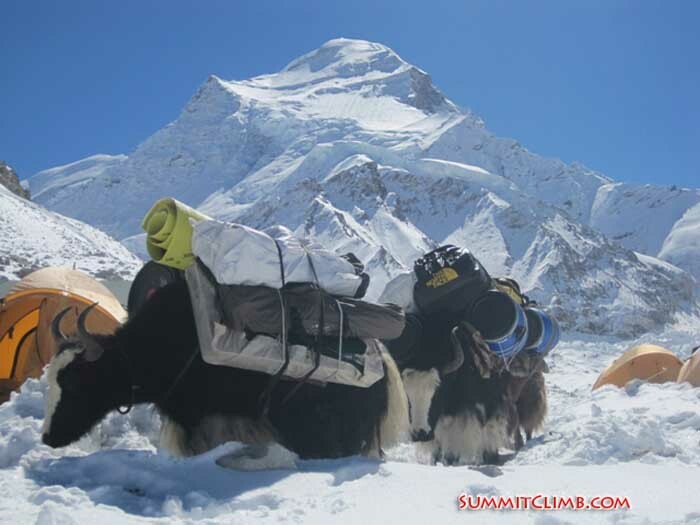 FULL SERVICE INCLUDES ALL CLIMB AND TREK COSTS, FREE HOTEL, INTERNAL FLIGHTS AND SHERPAS. 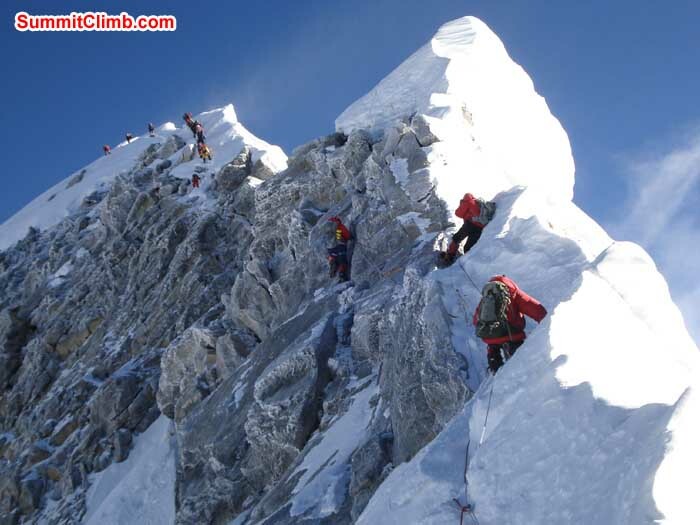 MOUNT AMA DABLAM, The best technical but accomplishable rock, snow and ice climb in all Asia. Climbed on good quality solid granite and fixed ropes. Join 6 time Ama Dablam leader Dan Mazur, who will teach you everything you need to know, and test yourself to 7000 metres / 23,000 feet on Asia's most famous rock, snow, and ice peak: the Matterhorn of the Himalaya, which is technical, but climbable: www.ExpeditionAmaDablam.com - NEW LOW PRICE! Full Service Cost: $5950, £3650, €4550. Basic Climb Cost: $2450, £1550, €1850. Standard dates: 10 October to 7 November (29 days in Nepal). We now offer the Ama Dablam expedition anytime during a flexible window from 10 October to 1 December. If you can't make our standard dates, no worries. You can just show up anytime you like before 1 December. 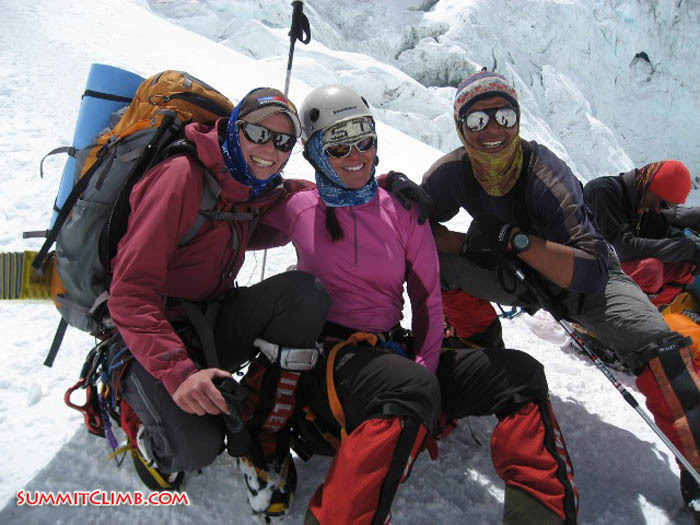 Climbing Ama Dablam qualifies you for Everest, Cho Oyu, Lhotse, and Shishapangma. 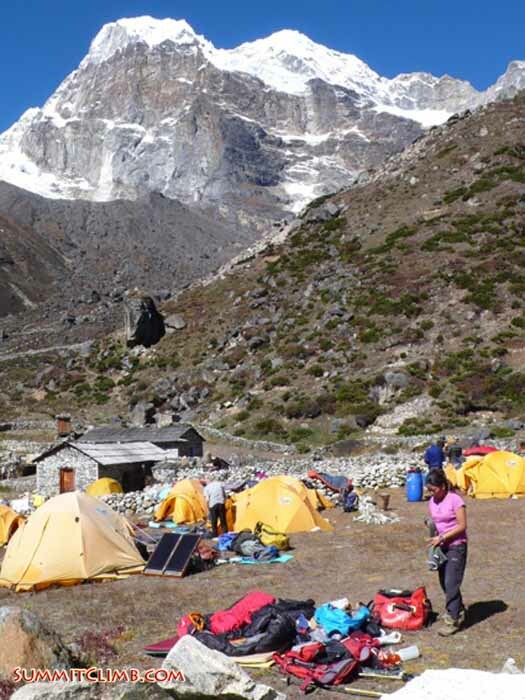 FULL SERVICE INCLUDES ALL CLIMB AND TREK COSTS, FREE HOTEL, INTERNAL FLIGHTS AND SHERPAS. EVEREST TIBET TRAINING CLIMB AND NORTH COL 2012: www.EverestTibetTrainingClimb.com and www.North-Col.com - Full Service Cost $7850, £4850, €5650. 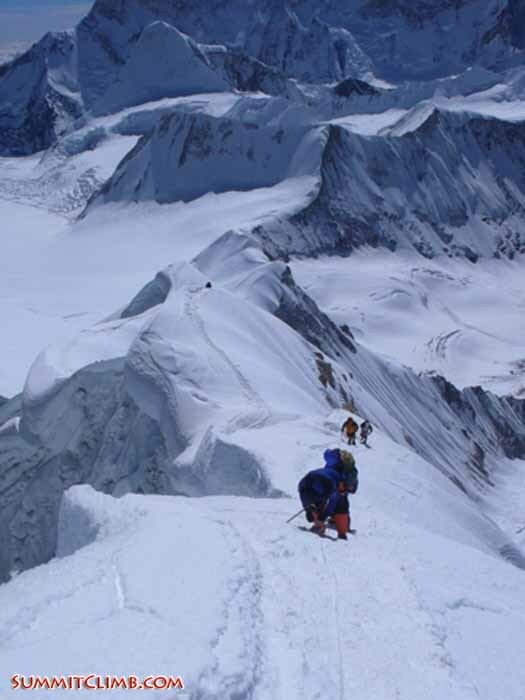 Please join Arnold Coster, 6 time Everest leader, who will teach you everything you need to know, for an exciting and affordable 28 day expedition in April or May, and a great chance to learn all about climbing, see how you feel at altitude, visit exotic Tibet, and if you are feeling well, transition to Everest and Cho Oyu. 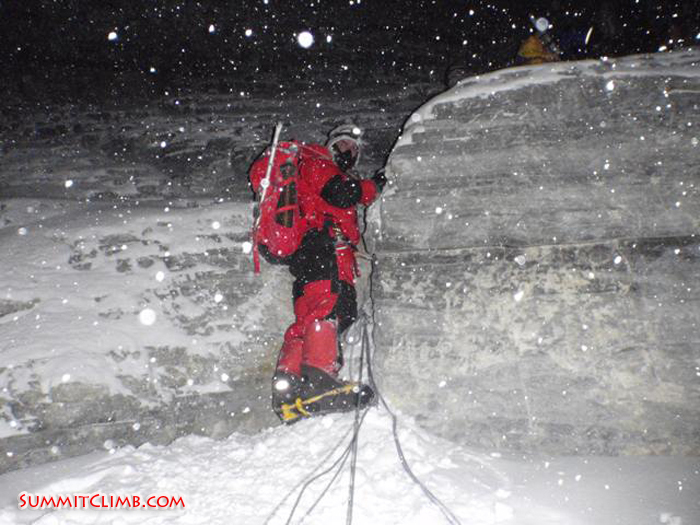 Get qualified for Everest. FULL SERVICE INCLUDES ALL CLIMB AND TREK COSTS, FREE HOTEL AND SHERPAS. EVEREST NEPAL CAMP 3 TRAINING CLIMB: www.EverestTrainingClimb.com - Full Service Cost $8650, £5350, €6250. Sixteen day option: $6350, £3850, €4350. 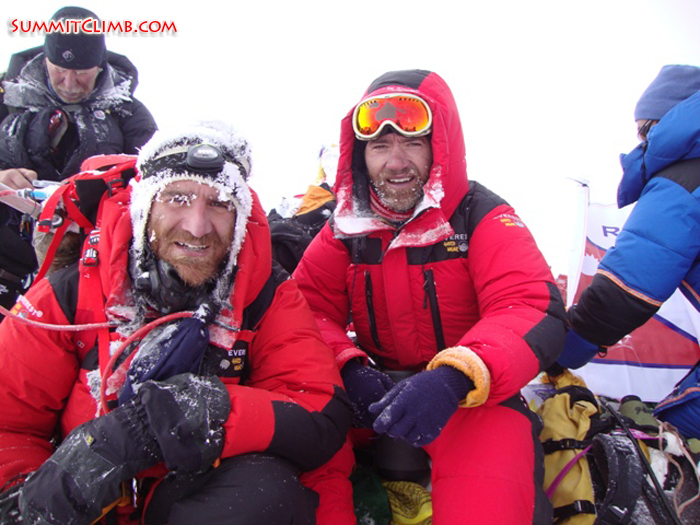 Join 10 time Everest leader Dan Mazur, who will teach you everything you need to know, and get trained for Everest on the same classic route as our summit expedition. 31 days, or 16 days school only, in April, May, September, or October, and an affordable way to learn all about climbing, see how you feel at altitude, visit beautiful Nepal, and if you are feeling well, transition to Everest. 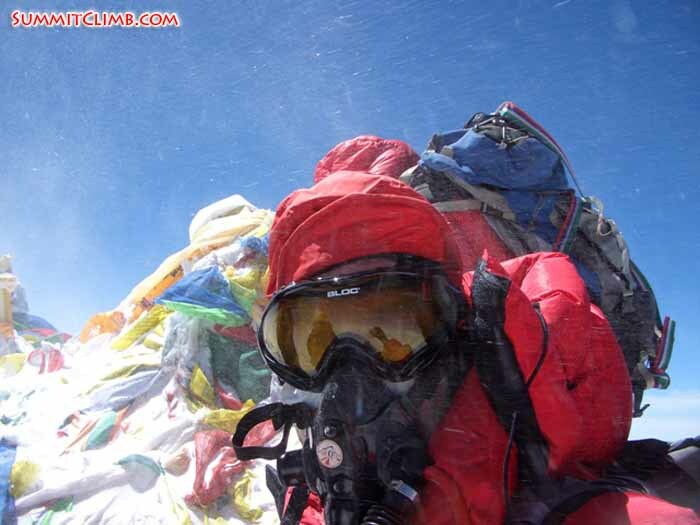 Get Qualified for Everest. FULL SERVICE INCLUDES ALL CLIMB AND TREK COSTS, FREE HOTEL, INTERNAL FLIGHTS, AND SHERPAS. 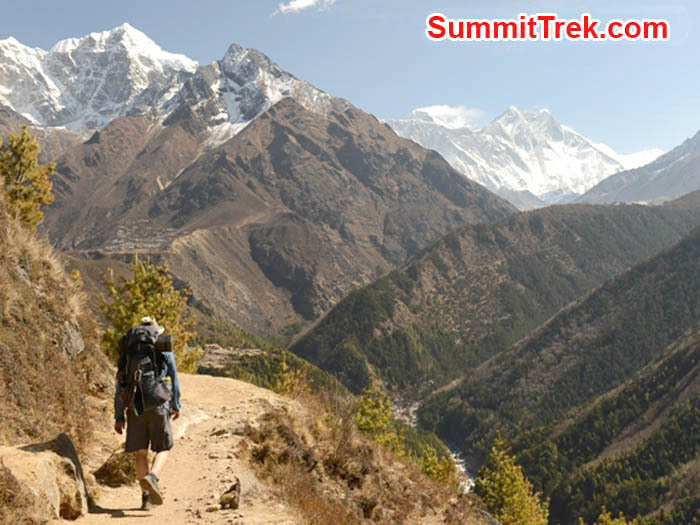 EVEREST BASECAMP WALK NEPAL: 18 days in October, April and May. Join ten time Everest expedition leader Dan Mazur to walk on wide snow-free trails through green terraced villages perched beside rapidly flowing rivers beneath the towering snowy giants of the Himalaya to Nepal's most famous and beautiful basecamp first climbed by Sir Edmund Hillary and Tenzing Sherpa. Cost: $1850, £1150, €1450. www.EverestNepalWalk.com.. FULL SERVICE INCLUDES ALL TREK COSTS, FREE HOTEL, INTERNAL FLIGHTS AND SHERPAS. EVEREST TIBET ADVANCED BASECAMP WALK: www.AdvancedBasecampWalk.com - Full Service Cost: $3,550, £2,250, €2,750. Please join Arnold Coster, 6 time Everest leader, for an exciting and affordable 20 day walk in April or May, and a good chance to see exotic Tibet. FULL SERVICE INCLUDES ALL TREK COSTS, FREE HOTEL AND SHERPAS. EVEREST GLACIER SCHOOL: AWARDED NATIONAL GEOGRAPHIC'S "25 BEST NEW TRIPS": www.EverestGlacierSchool.com - PRICE: $2950 £1850 €2150, 22 days in April, May, or October. 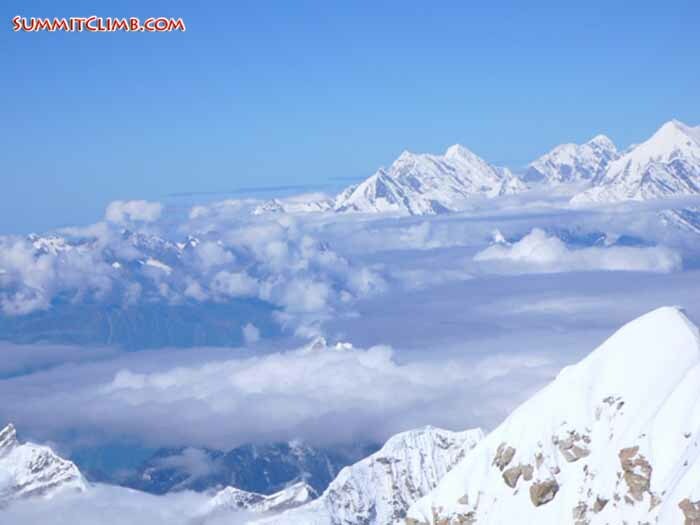 Nepal's famous ‘easy’ 'trekking peak'.Seven day option: $1450, £950, €1050. April, May, or October. FULL SERVICE INCLUDES ALL CLIMB AND TREK COSTS, FREE HOTEL, INTERNAL FLIGHTS, AND SHERPAS. 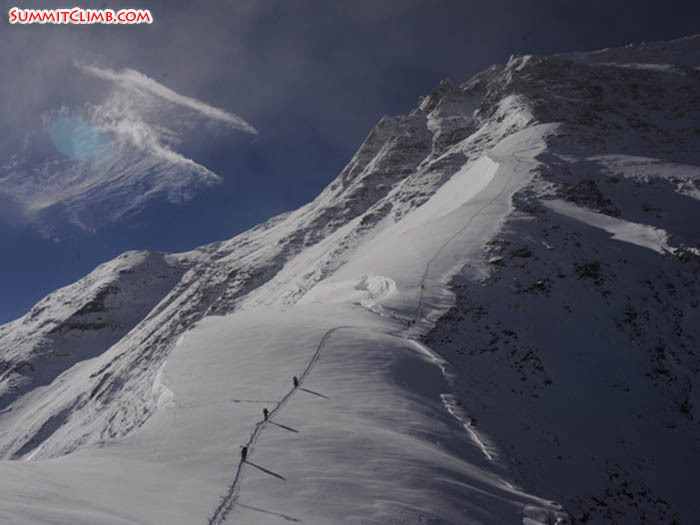 ISLAND PEAK, NEPAL’S MOST FAMOUS ‘EASY’ TREKKING PEAK: www.IslandPeakExpedition.com. 22 days in April, May, or October. Nepal's famous ‘easy’ 'trekking peak'. 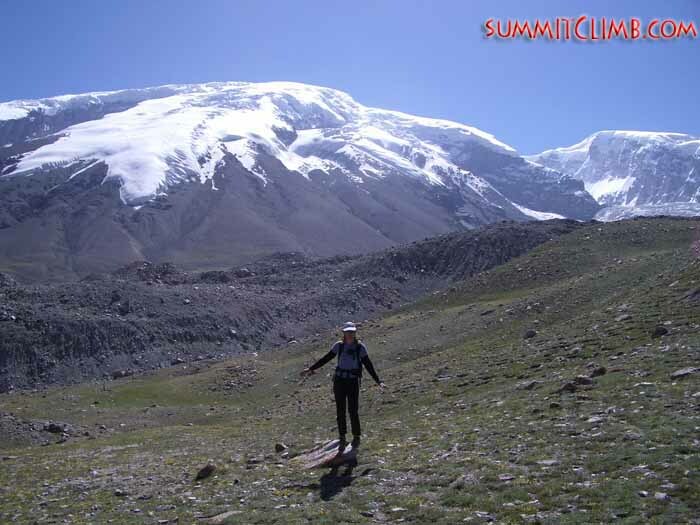 Climb to 6000 metres in just one day. Fabulous views of Lhotse south face and Makalu. Full Service Cost: $2950, £1850, €2150. Five day option: $1350. FULL SERVICE INCLUDES ALL CLIMB AND TREK COSTS, FREE HOTEL, INTERNAL FLIGHTS, AND SHERPAS. MOUNT MERA ‘TREKKING-PEAK’ CLIMB: 22 days in October. 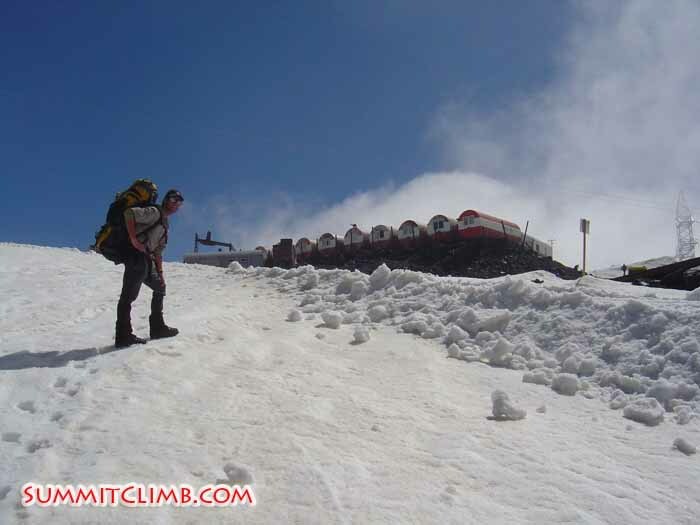 Join Himalayan expert Arnold Coster and friends for this gorgeous walk-climb of Mount Mera. PRICE: $2950 £1850 €2150. www.MeraPeakExpedition.com and www.MeraPeakNews.com . Bring your skis and snowboard if you are excited about skiing and/or boarding down this peak. FULL SERVICE INCLUDES ALL CLIMB AND TREK COSTS, FREE HOTEL, INTERNAL FLIGHTS, AND SHERPAS. www.RemoteNepalServiceWalk.org: 13 days June or Novemeber - Donation: $1450, £950, €1050 (100% of your contribution for the trek and your international flight are tax deductable and gift aid eligible). Join local expert Dan Mazur. 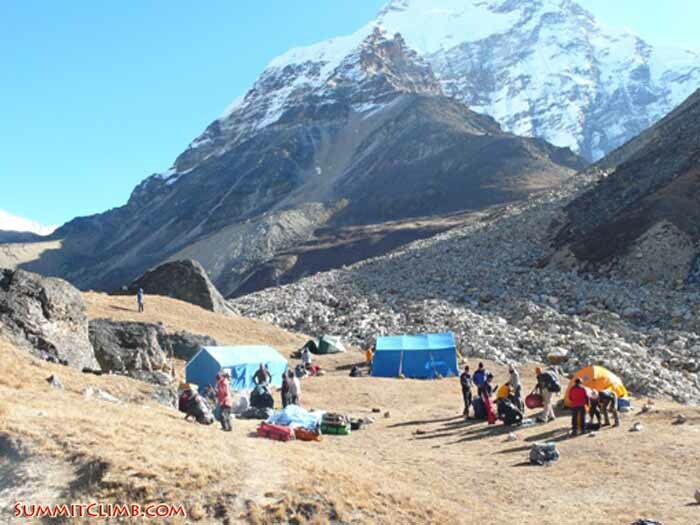 Price includes everything for the walk: all trek costs, free sherpas, free hotels and free internal flights. 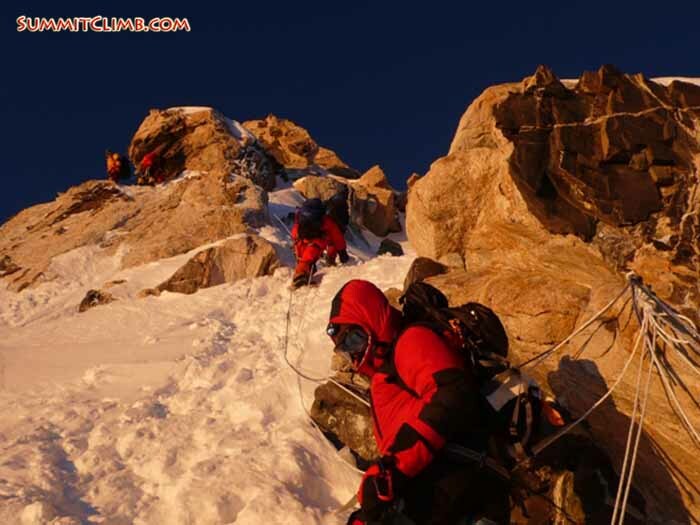 Our top climbing sherpas are the best in the industry, with more than 5 Everest ascents each. You will find our Sherpas to be the most friendly, technically trained, helpful, hardworking, loyal, and kind you will ever meet. 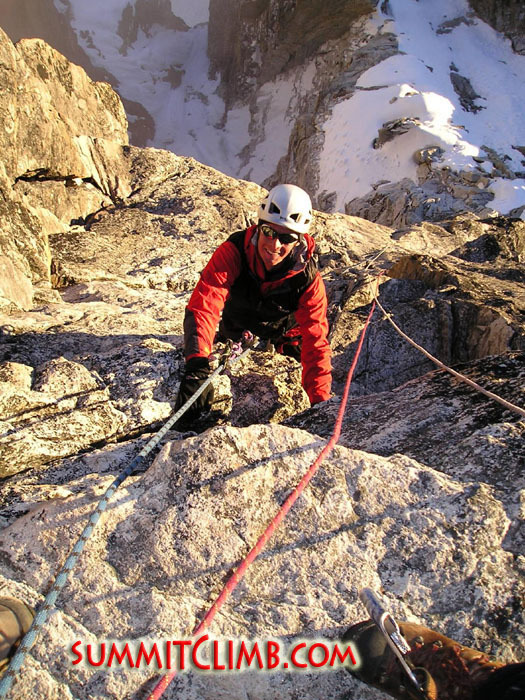 All of our sherpas are technical masters and able to fix ropes and climb safely using proper climbing techniques and equipment. Trips include high quality clean, comfortable, and luxurious Kathmandu hotels for FREE in the price of our expedition. That means two nights at the beginning of the trip and 2 nights at the end of the trip are our gift to you. GENEROUS DISCOUNTS are now on offer for groups of 2 or more, "BASIC CLIMBERS", mountain guides, returning members, medical professionals, educators. WE ALSO OFFER SPECIAL DISCOUNTS FOR LEADERS IN TRAINING AND MOUNTAIN GUIDES (please go to www.LeadersInTraining.com). WE PAY YOU CASH FOR TELLING YOUR FRIENDS and bringing us new members. Be sure to tell your friends about what we are trying to do, and when they sign up, we will send you cash. We call it the "finder's fee", and pay this very frequently. Its our way of saying thanks to you for recommending your friends. US address: POB 123, Lakebay, Washington, 98351, USA. Ppps. Congratulations, you made it to the bottom of this email. You must have the patience and perseverance needed to be a Himalayan, Aconcagua, Elbrus, and African climber, walker, and service worker!